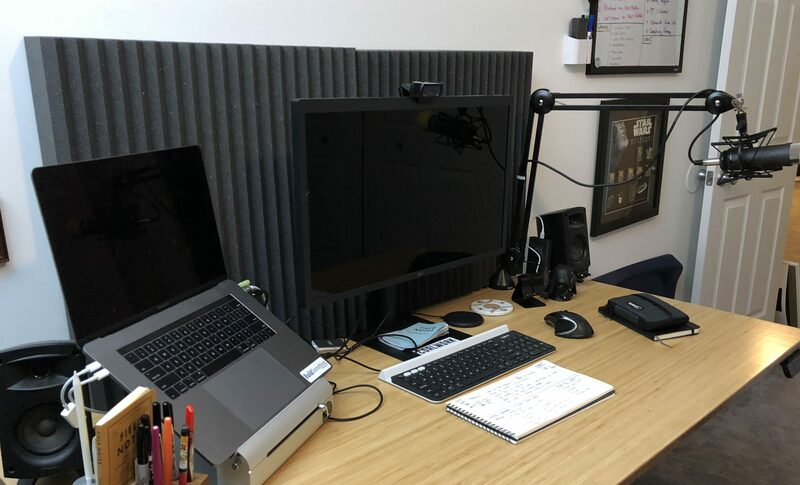 Since professional recording is now the lion’s share of my work, I wanted to make sure that I was doing everything I could to get good room acoustics. Here, I break down what I did to make sure that my sound it top quality, before it ever hits my mic. If video is your preferred format, I have that too, after the jump! Room Acoustics is how sound behaves in an enclosed space*. 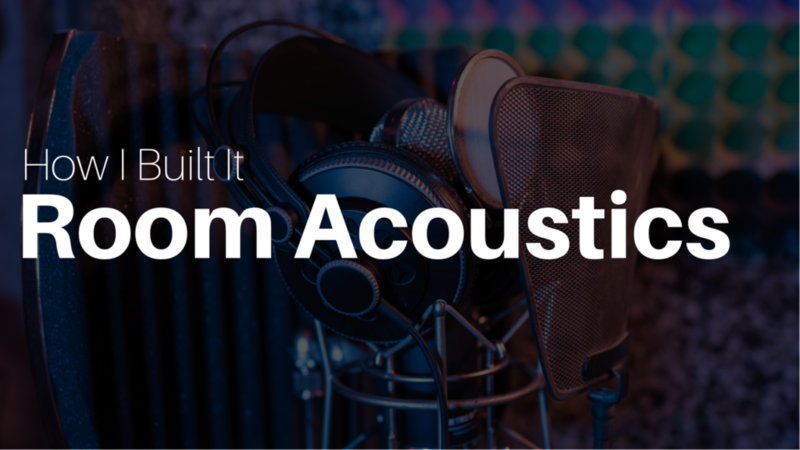 Our main goal when it comes to room acoustics is to absorb and deflect sound so it doesn’t make its way back into your microphone and give you that echo sound that maybe videos and podcasts suffer from. There are a few ways to achieve this, and I’ll be talking specifically about how I did it in my office. There’s a whole science to how sound behaves – how it moves, how it bounces, and how it’s absorbed. I recommend reading Audio Engineering 101, which will teach you all about it and much more. It starts with a decent mic. I have the Rode Procaster, which will run you around $250. It’s not the cheapest, but it’s not the most expensive either. 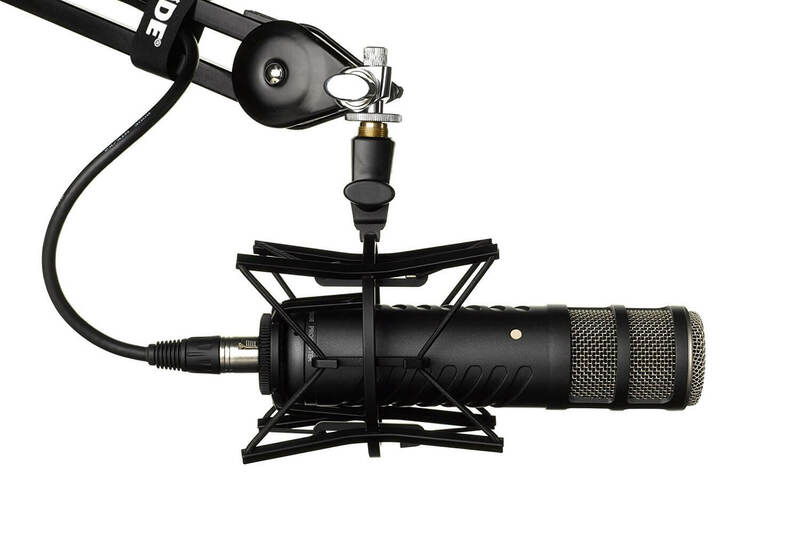 You don’t need to break the bank on a professional mic, but you do want to look for a specific type of mic: a cardoid mic. These mics pick up sound primarily at the front only, with a little from the side and nothing from the back. That means that if sound bounces off the monitor or wall, it won’t bounce directly into the back of your microphone. I also have a boom arm, which keeps the mic off my desk and out of the way of the monitor. I’m addressing it from my right, so I’m not speaking in the same direction of the monitor. If you’re sitting in a big, open room with nothing on the walls, there’s plenty of space for sound to just bounce around. One of the best ways you can diffuse it is with some uneven surface behind you. Bookshelves are great for this. In the photo above, you can see mine, which sit against the far wall behind my desk. The idea is that sound that makes it across the room won’t bounce directly back at me. In the diagram to the right, you can see how sound works. It will reflect (or bounce) at the same angle it hits a surface. So if I yell at a wall, that sound will reflect straight off and back to me. If I had a mic, the mic would pick up my initial sound, and the sound reflecting. Diffusion forces the sound to reflect in different directions, away from my mic. But there’s also absorption. Sound absorption might be what you’re most familiar with. When you see a studio with those black foam walls, they are there to absorb sound. 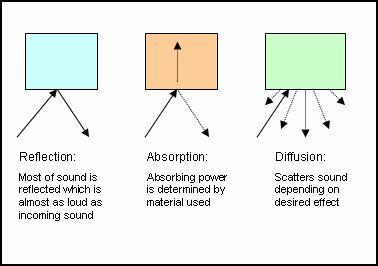 The more sound that’s absorbed, the less there is to reflect around the room. I picked up 2 things to help with sound absorbtion. The first are Auralex DeskMax Sound Panels. The panels sit directly behind my monitor, and absorb sound that it’s the close wall. I’ll admit that they would probably be better served in front of the monitor, but since I do screencasts mostly, that’s a little tough. Well, that’s everything as far as room acoustics go. I still have some killer equipment that helps me. 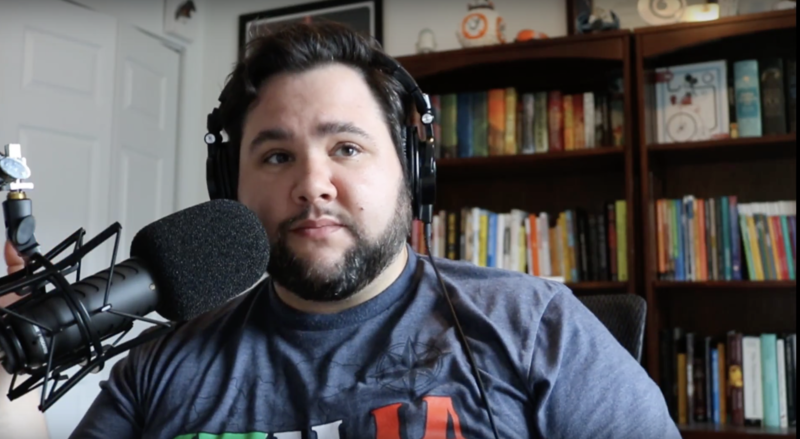 If you want to learn more about that, check out My Podcast Setup.